As you might know I’ve recently had the opportunity to have a play with some of Polycom’s new Real Presence Trio UC devices and me being the Skype4B guy I am I figured I could get these to naively update using the Skype4B Device Update Service as I already have a UCS provisioning server pointing devices to the Skype4B pool. 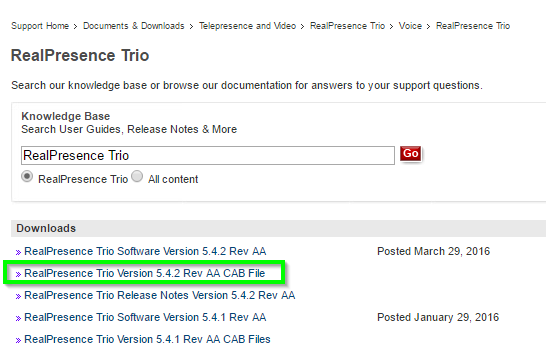 Download the applicable CAB version of the Trio Frimware from the Polycom Support site. Then import both the new and restore firmware’s From the Lync / Skype4B server using the following cmdlet exchanging paths where appropriate. Once the device detects it has been idle for a while. 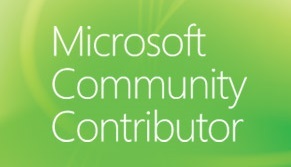 It will download the firmware and update itself. OMG.. that’s been like that since 2016!